The controversy over the booing of AFL player Adam Goodes has reminded us of how easy it is for people to be hurt by words. 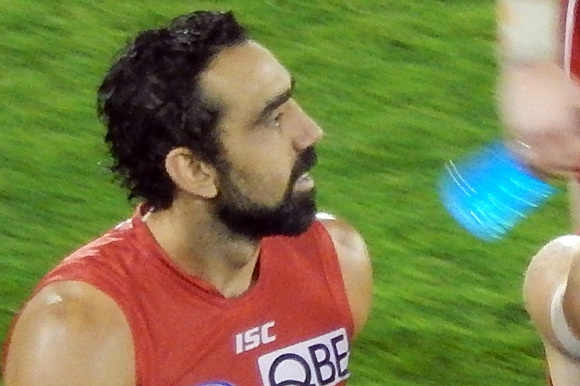 Whether Goodes is being booed because he plays for the Sydney Swans, or because of his on-field antics, or because he is Aboriginal, it is clear that he is hurt by the jeers. Sadly, booing is part of many sports, although it is usually not meant for serious harm. It’s just like a lot of the ‘paying out’ that is so-often accepted as normal in Australian society. Yet, it is very easy for seemingly-harmless ‘paying out’ to go too far. Many of us have been in a group in which someone has been deeply offended by a practical joke or a friendly jibe. Before long, the whole community risks becoming emotionally unsafe because of these ‘put downs’. When I served with the Youthworks Year 13 Gap Year program, we had a rule that it was not acceptable to engage in ‘put downs’ as a way of relating to each other. The result was a community that showed a depth of genuine and practical love for each other, whilst still relating in a relaxed and fun-filled way. May this be a model to our church as we seek to live Spirit-filled lives that demonstrate the difference it makes in knowing Jesus.